Gum Tree ( Eucalyptus species, MYRTACEAE ). 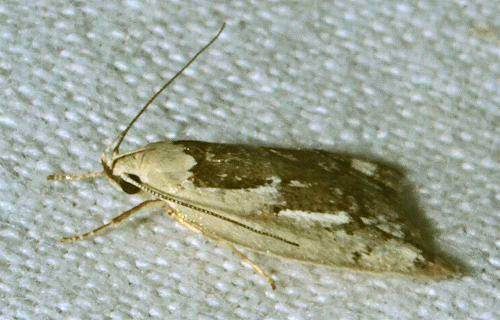 The moths have forewings that are dark brown, each with a broad ragged white band along the costa curving around the wingtip to become a submarginal white band. 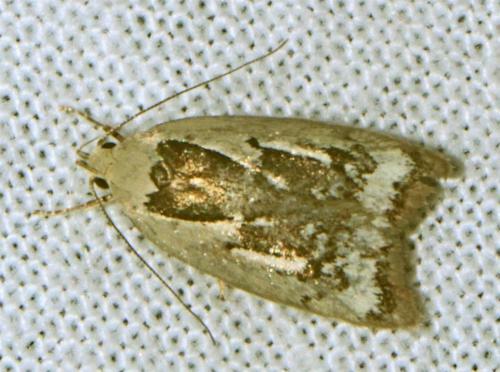 The hindwings are plain pale brown. The wingspan is about 1.5 cms. CSIRO Publishing, Melbourne 1994, pp. 284, 286. Volume 7, Part 4 (1883), p. 472. CSIRO Publishing, 2007, p. 61.